Sky Installation for Southport, Satellite Dish Installers & Sky Engineers. 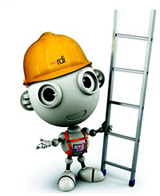 Julian Voigt Aerial & Satellite Installers are Fully qualified & Approved sky, sky+, sky HD, TV installers Southport. Are you looking for a trustworthy qualified and approved Sky TV installer or Satellite TV Installation in Southport? Independent Sky installers for Southport & Rdi Approved Engineers, offering full Sky TV installation, Freesat TV, Sky TV or Satellite Dish Repairs, high access & discreet installation. Julian Voigt Satellite Installation Southport - Satellite TV Installers, Independent Sky Installation Southport, Sky+ Engineer, Sky HD Installers Southport, Sky Repairs, Freesat Satellite Installations, Freesat HD, Sky TV Fitted, Satellite TV Installer Southport, Satellite Receiver Repairs and Replacment Service, European Satellites, Live 3pm Premiership Football Satellite TV Systems Installaed, Servicing, Satellite Dish Repairs, High Access installations Southport. Having problems with your sky reception in Southport? 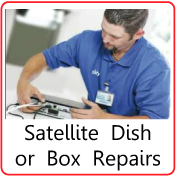 We have a vast knowledge of Sky Satellite TV Installation, Sky+ Installation & Sky HD satellite systems Installation, and whether its Satellite Dish Realignment, cable replacement, fault finding, or problems with the Sky digi box satellite receiver, we will repair the fault, or replace the faulty part. Watch Sky TV or any other Satellite TV in more than one room! With the use of Magic eye remote installation you can watch Satellite TV and also change channel without having to move the Satellite Reciever into the room you are watching the TV in. Ask about Sky Magic Eye Installation for Southport! 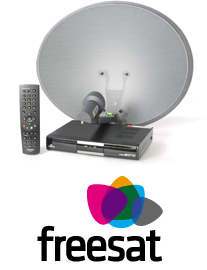 We also install Sky Multiroom systems if you have more than one satellite receiver, this can also be done for Freesat. 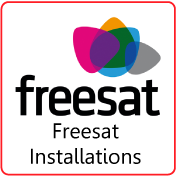 As a FREESAT installer for Southport, different types of installations are called for, also Freesat has 3 variations; Freesat SD, Freesat HD, Freesat+ HDR (Record, Pause, Rewind Live TV & on Demand TV), that is why an approved, experienced satellite dish installer for Freesat is recommended.We are able to install and provide Freesat, Freesat+ & Freesat HD Satellite TV. Sick of having to pay a monthly subscription to sky or virgin, this is a great solution. 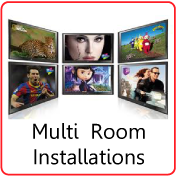 LCD Plasma TV installations Southport & Wall Mounting your Flat Screen TV. LCD Plasma TV installation & Wall Mounting for your Flat Screen TV, Southport. Here at Julian Voigt Satellite, Southport, we provide a TV Wall Mounting Service , and will also tune your new LCD or Plasma TV to your Digital Aerial or Satellite system or even both. 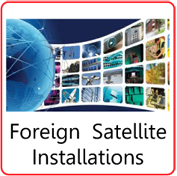 Satellite TV Installations for Southport. Glitches & No Picture: There are quite a few reasons why you maybe experiencing problems with your picture, sound & reception. Julian Voigt Satellite are able to resolve this issue.